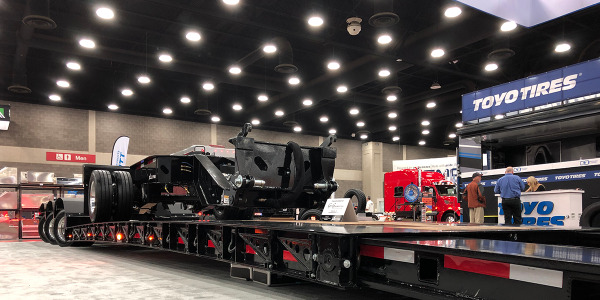 Each year, HDT’s editors spend a lot of time going to press conferences and combing through news releases on the latest new products for trucking. At the end of the year, they embark on a process to identify the very best of the past year’s introductions to come up with our Top 20 Products. Click here for a photo gallery of the awards presentations. 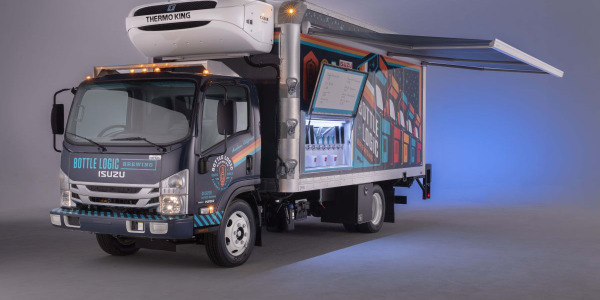 Editors sifted through all of the new product announcements that appeared in the magazine or on HDT’s Truckinginfo.com website over the course of last year to winnow down the list. 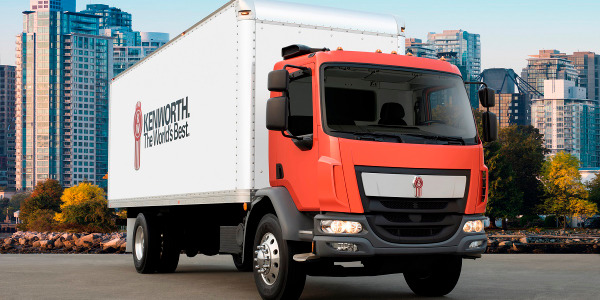 Products were chosen based on their level of innovation, ability to address significant industry issues, and potential benefit to a truck fleet’s bottom line. Then we asked a number of our fleet readers to weigh in on the selections to help us arrive at the final 20. Please note that our criteria does not include consideration of entire vehicles, and products considered must be commercially available or scheduled to become commercially available within the year. 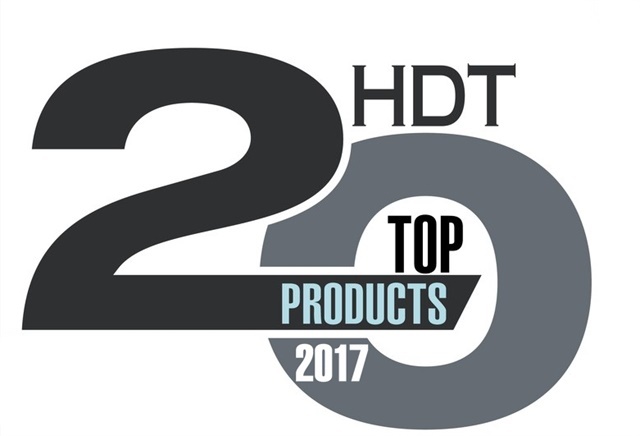 On the following pages you’ll find the 2017 Top 20 Products, presented in alphabetical order by company. 1. EverSteel wheel technology is designed to prevent corrosion in steel wheels. EverSteel is applied with a four-phase coating process designed to improve wheel durability and service life. In independent tests, EverSteel demonstrated double the operational life of Accuride’s own Steel Armor steel wheels and as much as six times longer than its competitors, according to Accuride. 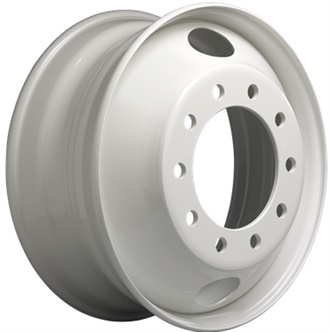 Wheels with EverSteel are suited for trailer applications and fleets operating in ice and snow because of its resistance to corrosion. 2. 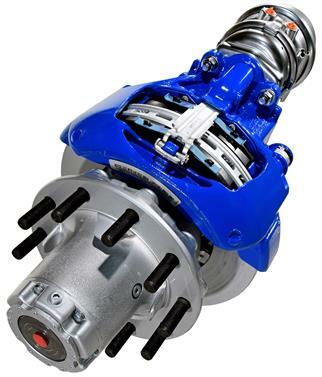 The ADB22X-LT is the first Bendix air disc brake engineered specifically for trailers and is for axles rated at 23,000 pounds. It’s also the lightest air disc brake in Bendix’s lineup, 40 pounds per tandem lighter than its companion ADB22X. The two brakes share replacement wear items, which helps to streamline maintenance and training plus reduce inventory requirements. The ADB22X-LT brake features a new pad with 8% more wearable volume and up to a 40% improvement in wear rate, according to Bendix. The new pad also meets the EPA’s 2021 copper-free brake initiative requirements. A new adjustment mechanism improves pad life and further reduces the risk of brake drag. 3. BlackBerry Radar allows users to track highly mobile assets using a self-powered tracking device, a cloud-based platform and visual reports that show the location and status of each asset. Users can optimize trailer and shipping container utilization, improve on-time delivery and reduce theft without having to invest in an IT infrastructure, according to BlackBerry. The BlackBerry Radar takes little time to install and is designed to generate rich, frequently updated information for operations managers, load planners and dispatchers. 4. 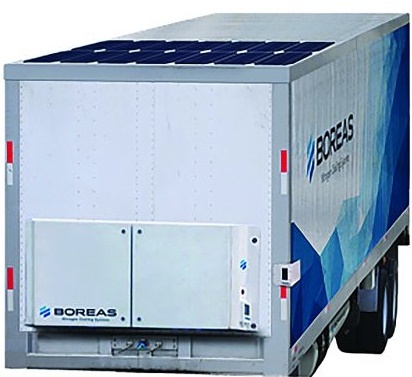 Boreas Nitrogen Cooling System is a dual-zone refrigeration system for reefer trailers that offers greater temperature control while reducing operating costs. The system is plumbed to flow liquid nitrogen to spray nozzles in the cargo space of the trailer. Once the liquid nitrogen hits the (relatively) warmer air of the trailer, it is turned into a cold gas. The Boreas system allows users to set two separate temperature conditions within the same truck. The dimensions of the temperature zones can be changed through an adjustable bulkhead position. Sophisticated sensors, electronics and safety controls protect drivers, dock workers and others from the low-oxygen environment. The system is best suited to operations which the doors are not opened frequently. 5. 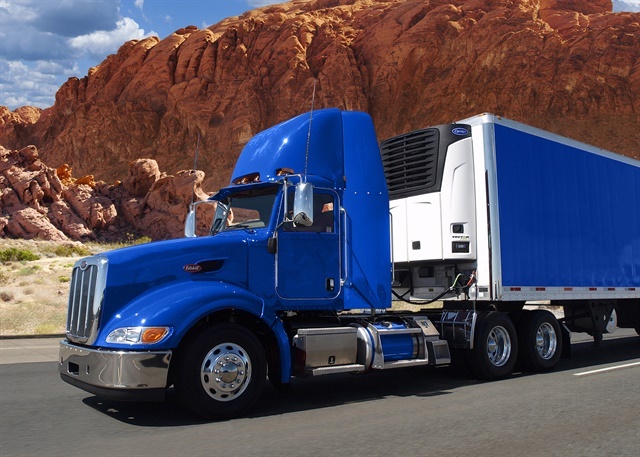 Carrier Transicold offers a two-way, wireless customized telematics solution for its transport refrigeration units to help fleets manage refrigerated assets remotely. 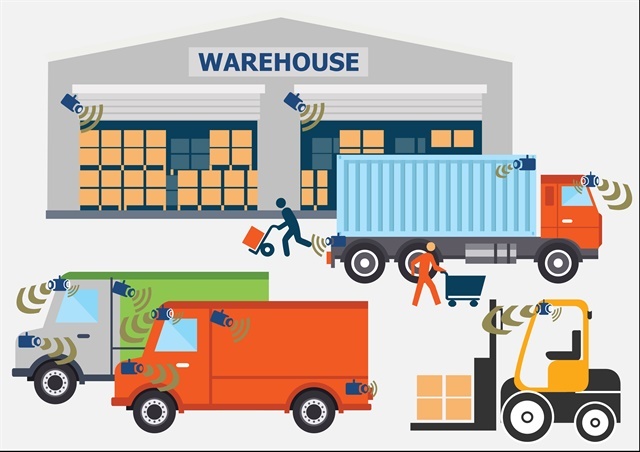 The telematics solution is designed to enable remote refrigeration unit monitoring, control and diagnostics, data management and other capabilities to manage refrigerated units. Orbcomm was selected to develop the system according to the design and qualification requirements of Carrier Transicold. 6. 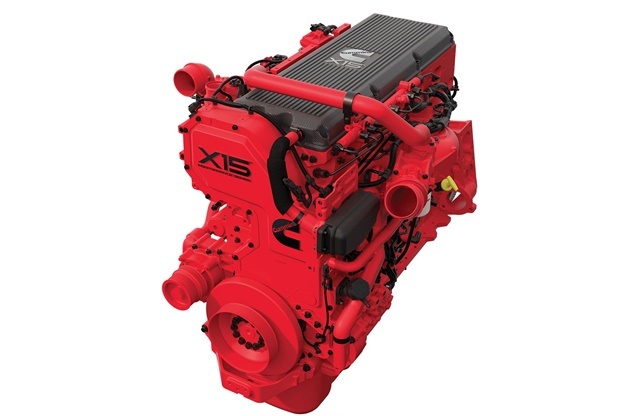 Cummins says its X15 engines will offer up to 3% better fuel economy than 2016 models, and as much as 20% better than 2012 models. 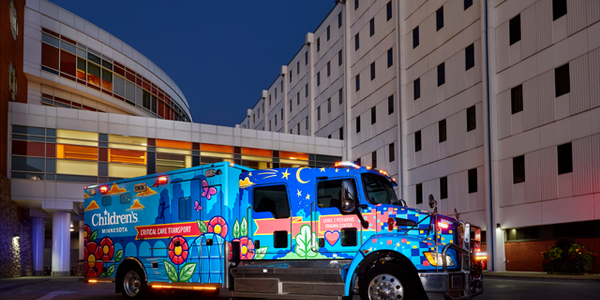 Other benefits include extended service intervals and enhanced performance across a 400- to 605-hp ratings range for heavy-haul, vocational and emergency vehicles. An upgraded high-flow air-handling system gives faster pedal response, for enhanced driveability at full payload and steep-gradient climbing. Peak torque of 1,650 to 2,050 lb-ft is delivered across a wide engine rpm range, so less shifting is needed and less fuel is used. A single-module aftertreatment system with in-line components replaces the multi-turn system now used. The oxygen catalyst, diesel particulate filter, and exhaust fluid injector and dosing chamber are close together so high temperatures needed for efficient operation are maintained. 7. 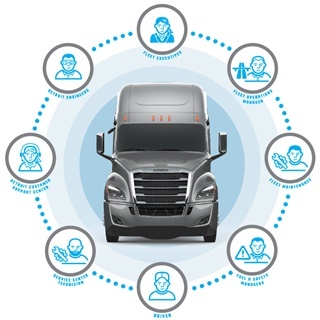 Detroit’s Analytics telematics service, accessed via a dedicated section of the new Detroit Connect portal, will provide users with on-demand automated fuel-efficiency and safety analysis and reports featuring key insights from Detroit and Daimler Trucks North America engineers. Fuel-efficiency performance data analyzed includes engine speed, idle time, cruise control, engine power, integrated powertrain performance and driver interaction. The safety data is collected from all available safety systems, including the Detroit Assurance suite of safety systems, and includes collision mitigation braking, lane departure warning, distance violations and speed violations. 8. East Manufacturing’s integrated extruded aluminum side-rail system accommodates a Double-L winch with flat-hook straps for cargo securement, available on both sides of the East Beast or Beast II flatbed trailer. The flat hook tiedowns are interchangeable, allowing torque to be applied evenly to stabilize the load. Each tiedown is moveable so it can be positioned where it is needed. Once a flat hook is engaged, the design of the rail holds the hook in place while tension is put on the strap. 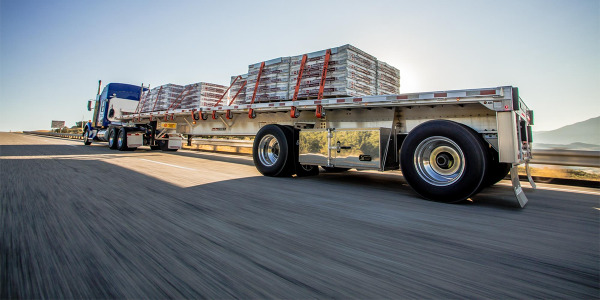 The side rail maintains the standard features of East’s Securetight cargo control system, an adjustable chain tie-down and winch strap capture system, in which movable tie-downs across the top of the side rail provide positive locking every 8 inches. 9. 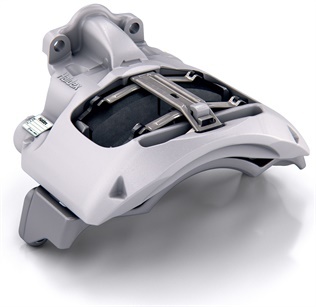 Haldex is bringing its ModulT air disc brake to North America. The 22.5-inch trailer brake, weighing 70 pounds including pads, will be followed by 19.5-inch and 22.5-inch air disc brake sizes for trucks and buses. Haldex says a wide single-piston mechanism can achieve performance equal to twin-piston mechanisms for braking capability and even load distribution on brake pads. Because the mechanism’s bellows seal is inverted, it protects itself against heat radiation, stones and other debris. To simplify maintenance, the boltless brake pad retainer requires no special tools to replace the brake pads. 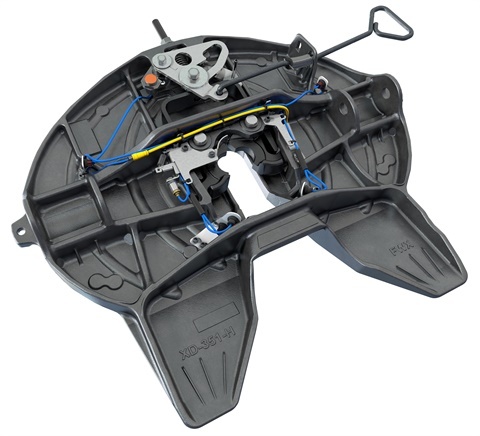 The entire air disc brake design includes only two fastening bolts and no mechanism cover plate. 10. Lytx‘s Unisyn platform is a video telematics platform that lets users see, understand and act on fleet and field operations’ safety and efficiency challenges. Users can access, review and manage video from their fleets and field operations either in real-time or at a later date from up to seven days of cloud-stored video. The system works with Lytx’s DriveCam video-based driver safety system. DriveCam and Unisyn are designed to complement each other, using DriveCam’s exception-based video to help prevent collisions through programmatic coaching, and Unisyn’s always-on video to track, monitor and act on fleet and field operations. 11. 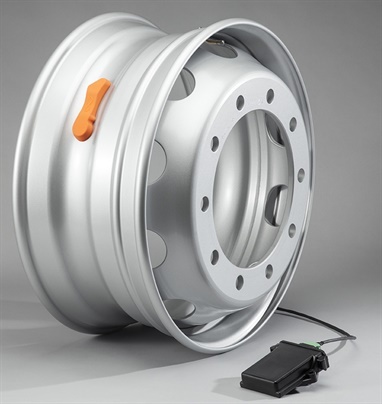 Maxion Wheels’ MaxSmart commercial vehicle connected wheel safety measure uses sensors to capture wheel-specific data for drivers and fleets. The sensor uses kinetic energy from the wheel’s motion to power the sensors, which collect and transmit data on wheel load, clamp force to the axle, tire pressure and temperature. The information is uploaded to both the vehicle and the cloud, providing vehicle safety intelligence to both driver and fleet. 12. 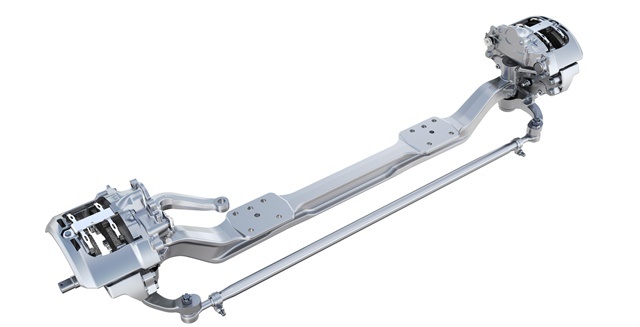 Meritor has released the MFS+, a lighter-weight steer axle designed to be 85 pounds lighter than the current offering. A gooseneck beam design and an offset knuckle with integrated torque plate and tie-rod arms save weight. The new design reduces space constraints for better access by technicians. The MFS+ is designed for mounting each brake at “12 o’clock” for easier removal. The MFS+ also offers high-angle turning capacity of up to 55 degrees and universal compatibility with braking systems. The axle is available in standard and wide track and has a gross weight rating between 12,000 and 13,200 pounds. 13. 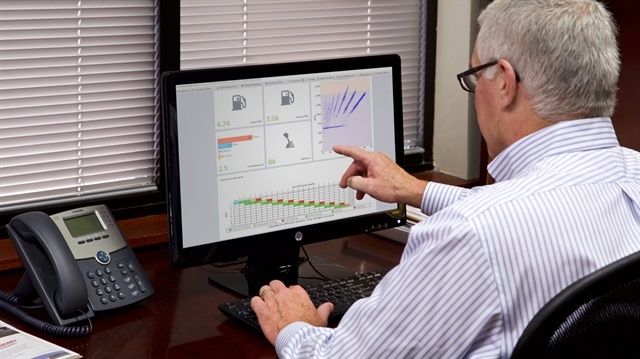 Omnitracs’ ELD Driver Retention Model can analyze the data provided by electronic logs to help predict which truck drivers are most likely to quit, helping fleets pinpoint retention efforts. The tool uses data that companies are already collecting through electronic hour-of-service applications to detect subtle changes in driver habits, which can be key indicators of the desire to voluntarily leave their jobs. These individual driver logs produce over a thousand pieces of data related to hours worked, customer site delays, lack of hours and amount of activity on the clock. The Omnitracs ELD Driver Retention Model can also leverage HOS data generated by competitive solutions. 14. 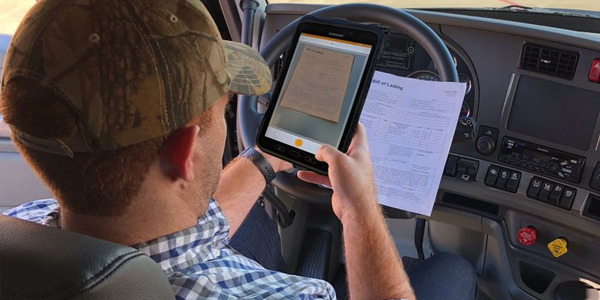 Rand McNally’s DC 200 BYOD Electronic Logging Device is designed to meet the needs of small- and medium-sized fleets looking to use existing Android devices. 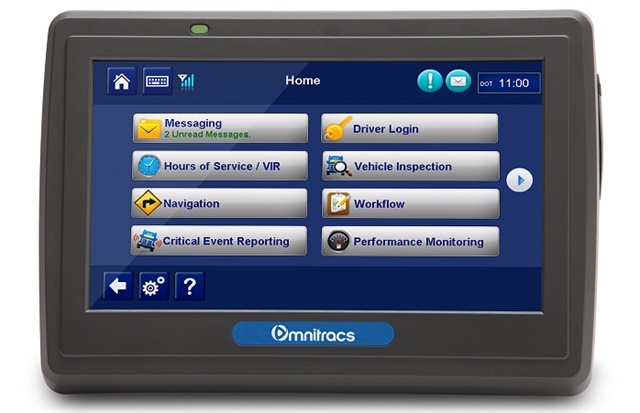 The DC 200 offers a cost-effective ELD plus fleet management tools that are increasingly critical to the industry. The low-profile, 5-inch long device sits on the dash and plugs into a truck’s diagnostic port via a single Y cable. Through a Bluetooth and proprietary Wi-Fi connection, the device sends data to the Rand McNally DriverConnect app (downloaded on the Android device), and to a web portal, both of which enable drivers to view HOS logs. 15. A SAF Holland’s redesigned automatic lighting system for fifth wheels features an ELI-te electronic lock indicator to help drivers ensure a proper coupling when they hook onto trailers. The ELI-te Fifth Wheel Coupling Indicator includes white LED lights for the jaws-king pin area of the fifth wheel, red LED warning lights, and a long-life, application-specific electronic control module. The system is self-contained except for a power cord that must be fitted to a tractor’s electrical system. 16. Spireon has developed a solar-powered trailer and asset telematics solution, providing location information and rich data powered by a renewable energy source. 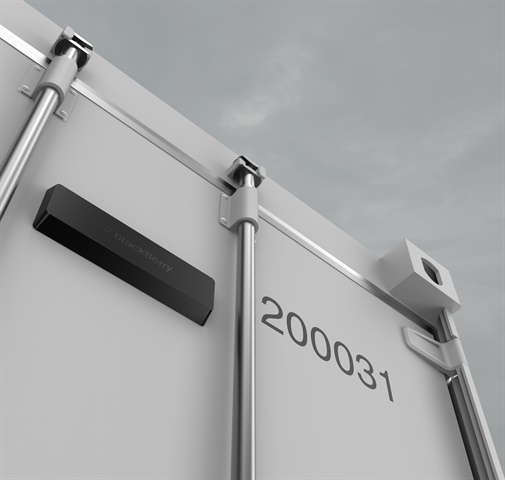 The self-powered device is compatible with a wide-range of transportation vehicles and equipment, including dry vans and intermodal applications such as containers. The trailer-mounted all-in-one solar panel and telematics unit can be installed in under 20 minutes, according to Spireon. The solar panel provides increased power source reliability and integrates with the Spireon FleetLocate program. 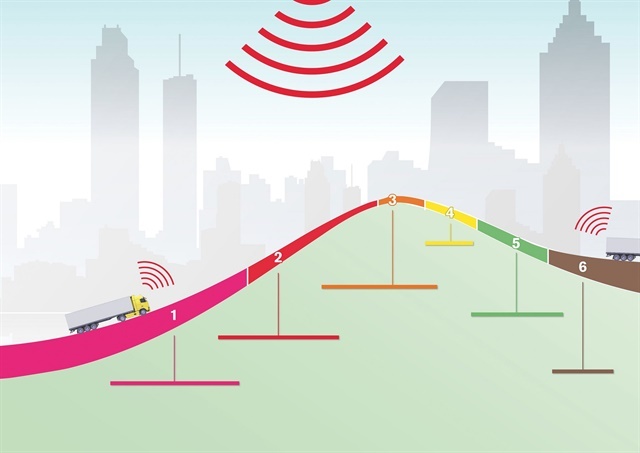 Trailers and assets can gather telematics information without drawing power from an external battery. 17. 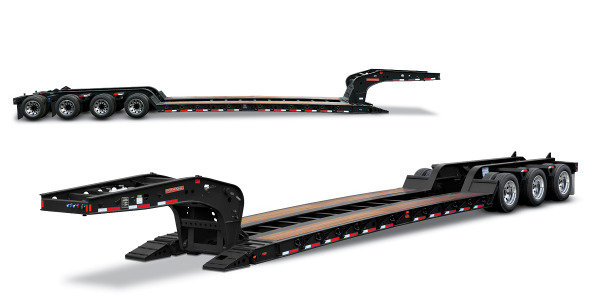 Stoughton has developed a new, stronger and safer rear underride guard. 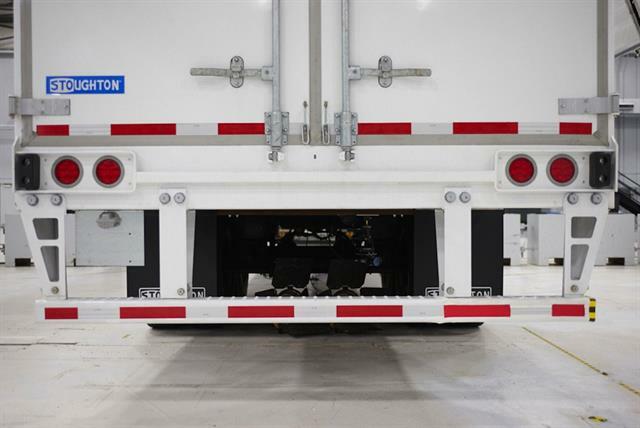 The patent-pending guard underwent extensive testing internally and through multiple independent testing agencies, including crash testing performed at the Insurance Institute for Highway Safety’s facility in Ruckersville, Va. The guard, based on IIHS recommendations, complies with all applicable U.S. and Canadian regulations. It adds no weight and does not affect aerodynamics or the strength of a trailer’s undercarriage and rear structure. 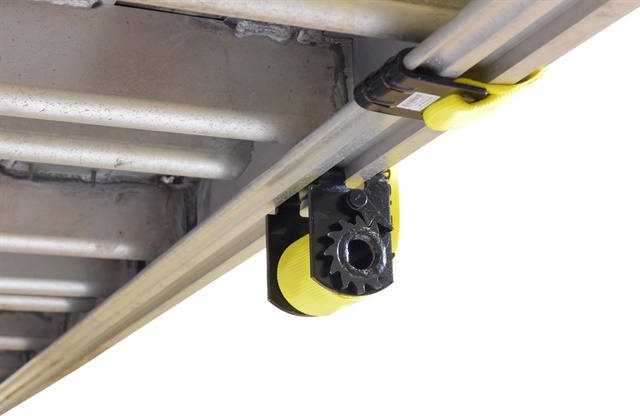 The underride guard includes two additional bolt-on vertical supports on the outer ends of the horizontal bar. The four supports are integrated into the bar and fastened to the undercarriage to strengthen the guard. The new underride guard will be available in painted carbon steel, galvanized steel or stainless steel. 18. The TopKit Aero System consists of the Aero Rain Guard and two Side Fairings on each side. When equipped with these devices, the Aero System combats the large base wake behind the trailer by contouring up into the faster moving air above the trailer and redirecting it into the base wake behind the trailer. 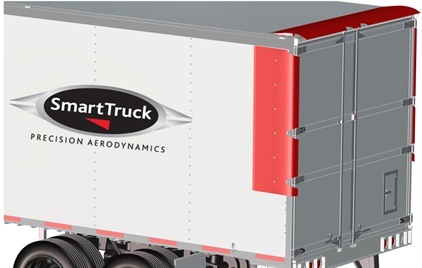 The TopKit can improve fuel efficiency by up to 5.5% during normal, long-haul highway operations, according to SmartTruck. The Side Fairings are twin sheet, thermoformed plastic parts made from MetaForm 7200 thermoplastic polyolefin. 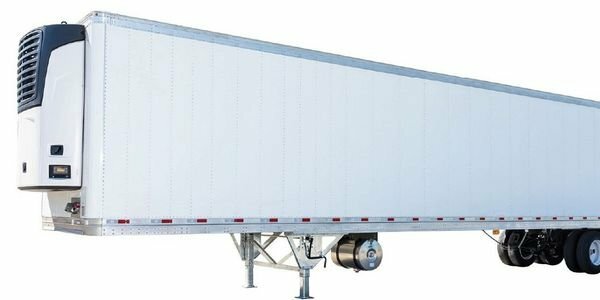 They can fit flat and corrugated trailers with the addition of a transition piece. The Aero Rain Guard, also made of the same material, is a pre-assembled kit, that is designed to be fitted and installed to the rear roof area. 19. Vnomics has released its True Fuel solution, designed to improve fuel economy through real-time driver coaching and precise fuel-use analytics. True Fuel monitors each vehicle’s actual fuel storage in real time and compares it to the maximum achievable fuel economy for that vehicle under its current operating conditions. To accurately identify the actual and potential fuel usage of each truck and driver, the system takes into account the impact of vehicle make, model and age, terrain and load size. It gives drivers audio alerts for improper shifting, speeding and idling to signal when a driver is not optimizing fuel consumption. This allows a driver to take action in real time to improve fuel efficiency. Through True Fuel, drivers are also provided with a scorecard detailing the fuel loss factors they can control, including shifting, efficiency, speeding and idle time. Fleet managers can use True Fuel’s web portal to access fuel use analytics and summary dashboards to gain insight into fuel usage and causes of wasted fuel for a fleet or for specific vehicles and drivers. 20. Volvo’s I-See and Mack’s Predictive Cruise Control are features available with updated I-Shift and mDrive automated transmissions. They memorize thousands of traveled routes and use that knowledge to keep a truck in the best, most fuel-efficient gear possible. When cruise control is activated as a truck travels a route for the first time, the feature will record the topography of the route, storing up to 4,500 hills in its memory. The next time the vehicle travels that route, I-See and Predictive CC will recognize it and work with the transmission to choose the best gear. Built-in electronics monitor factors such as road grade, speed, weight and engine load to help maintain the most efficient gear possible. Working with I-See, the I-Shift transmission will prepare for upcoming inclines by building speed, keeping the truck in a higher gear for better economy, while avoiding unnecessary downshifts that can waste fuel. I-See and Predictive CC are not dependent on constant GPS connections. Once a hill is recognized, it can pull from its memory to prepare for upcoming road variations.